If you’ve got someone on your gift list that’s overworked, under-caffeinated and looking for a better way to get their fix (this is New York, after all), look no further than Wacaco’s Minipresso as the perfect present. This portable hand-held device is a godsend for those who frequently need a boost but don’t have the time to wait in long coffee shop lines—or simply for those with a more discerning taste for the finer grounds in life. Using hand power and a semi-automatic piston, small quantities of water are injected into the coffee adapter to get things going. After few pushes, the optimal extraction pressure is achieved—you can get a ristretto with 13 pushes, an espresso with 18 pushes, or a double espresso with 28 pushes. The device measures just 6.95 inches in height, weighs .8 pounds, and a built-in cup makes it extra handy. 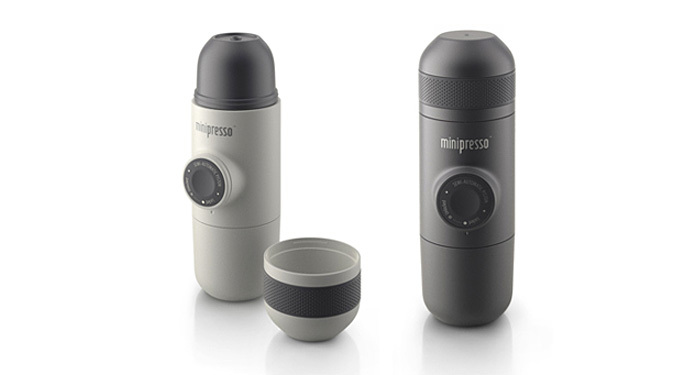 According to the makers, the Minipresso helps prepare shots with a quality that’s pretty close to a traditional machine. It also boosts its cool factor and caters to a variety of tastes by coming in both a ground coffee (Minipresso GR) and a Caffitaly System & Tchibo Cafissimo capsules (Minipresso CA) version. And because it’s totally human-powered, it’s also a great gift for those who often find themselves hiking or camping with only a cup of sludgy cowboy coffee to gulp down by the campfire. 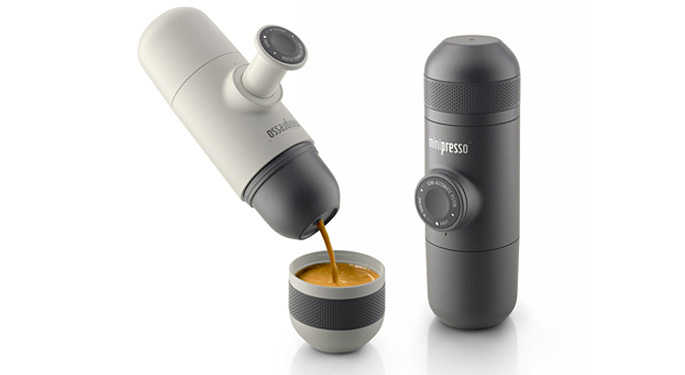 More on Wacaco’s Minipresso here.